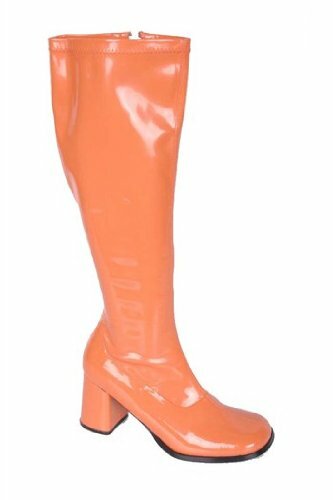 3" Gogo Boots with Zipper. 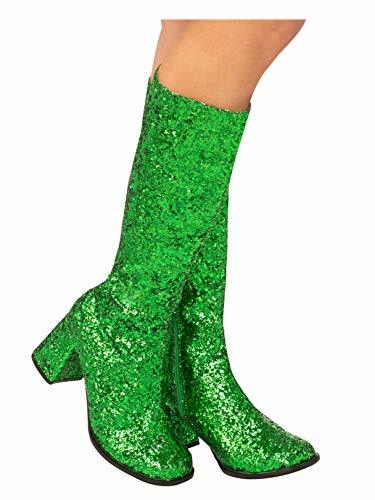 Includes one pair of boots with a small wide heel. Available in women sizes.The widest part of the calf on a GOGO size 10 is 15".White Lightning! 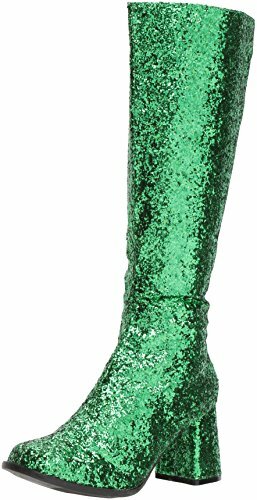 Eye-catching and versatile, these adult green go-go boots are the perfect finishing touch for many costumes and party outfits. 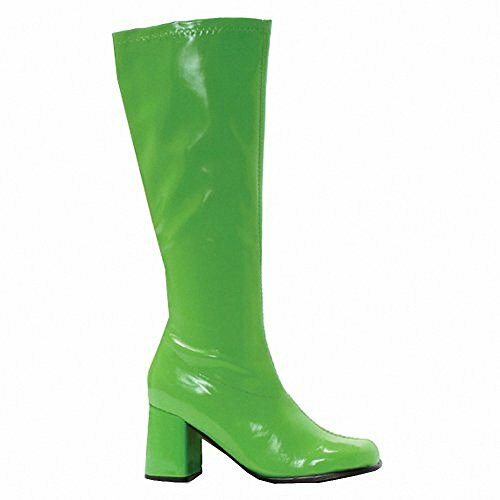 Made of comfortable high-quality materials, you'll love these knee high boots for any superhero or pro wrestler Halloween costume! Order yours today! 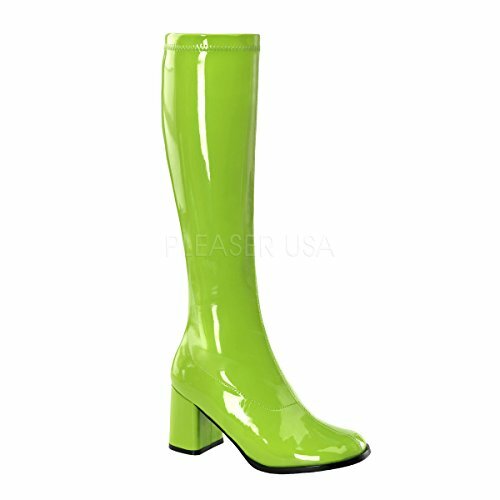 Includes one pair of patent manmade gogo boots with inside zipper and 3" block heel. The size 6 measures approximately 11.5" at the top and increases .75" incrementally with each size. 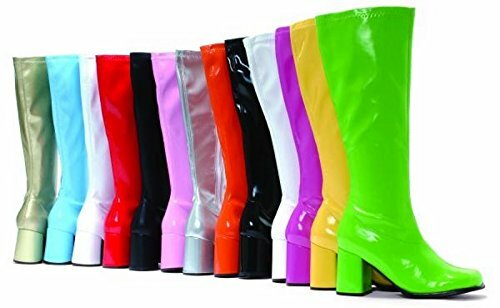 The gogo boots comes in adult sizes Size 8, Size 10, Size 6, Size 7, Size 9. A fairy tale of woe as a Go Go Dancer travails boulevard of broken dreams it's is a dance on fire for those chasing fame in the 60's.